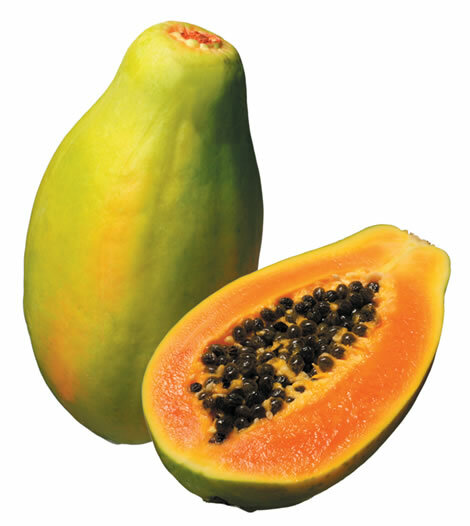 The yummiest anti-aging fruit, Papaya! We can surprise our body and revert our age with some little changes in our diet, something I often do is have two fruits every week as part of my diet, then next week I just change them so my body does not get used to them and keep getting all the rights nutrients. A lot of people ask me if there are different ways to eat some fruits, or if they are better combined with some other fruits and even if there is a good time to eat them, well since I have been asked for those important questions by so many readers, I will go ahead and answer all of them depending on the fruit we talking about. Today we are talking about the Papaya, which is rich in antioxidants, significantly improves digestion´s quality so helps to get rid of cellular debris and impurities meanwhile promotes recovery of the damaged ones. Some frequent questions asked are if you can just eat Papaya or if there are some other uses or if there are special combinations to boost its benefits. Well the answer is that you can eat it and apply to your skin, combine it to boost benefits is also possible, lets get that info right away. One of the many Papaya combinations is Oat with Papaya Juice: First and formals, this is a supplement for your breakfast, not a breakfast. In a blender put 3 spoons of Oat Flakes, 1 cup of diced Papaya, 2 glasses of water and then blend for 3 up 5 minutes, drink it on an empty stomach. A good breakfast to be taken after the Papaya-Oat Juice is the following: On a slice of wholemeal bread put a slice of tomato, season with oregano and minced garlic, on top of the wholemeal bread and tomato put a thin slice of grilled salmon and enjoy. Now to complete your breakfast ½ of a well boiled banana spiced with cinnamon is fine, this will act as a morning dessert. Remember to get a healthy snack at least two hours after your breakfast. A delightful mixture to be applied only at nights on your skin is Lemmon and Papaya: What you need is a medium piece of Papaya and 10 drops of lemon juice, smash them all and apply it to your skin, hands and face are the most common places, wait 15 minutes and wash with oat water, after another 15 minutes wash with abundant fresh water. Apply this face mask only 2 or 3 times a week.